Nothing much exciting rolls through Violet White’s sleepy, seaside town…until River West comes along. River rents the guest house behind Violet’s crumbling estate, and as eerie, grim things start to happen, Violet begins to wonder about the boy living in her backyard. Is River just a crooked-something liar with pretty eyes and a mysterious past? Or could he be something more? Violet’s already so knee-deep in love, she can’t see straight and that’s just how River likes it. 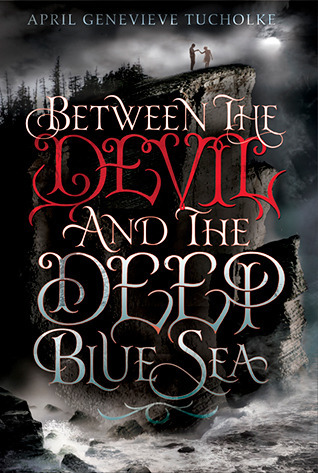 Between the Devil and the Deep Blue Sea is a captivating gothic paranormal romance, set in a sleepy town full of interesting, lively characters with bizarre names. With a gorgeous cover and captivating blurb it would be hard to pass by this delicious book without the urge to pick it up. Like with most wildly popular books there are two sides. There are those who are going to love the book, there are those who are going to severely dislike the book. As with everything else in life, there is no such thing as a perfect book. They’re all flawed because we are all flawed and no one ever will be able to please everyone. For me personally this book had a lot of elements that make an engaging, enjoyable young adult novel. I’ve noticed recently that Young Adult fiction isn’t often doing it for me, the more I pick up the more I am putting down and I’m okay with that, fiction tastes change as you change and what you liked last month or last year doesn’t mean you’ll enjoy it in this moment. I wouldn’t say that Between the Devil and the Deep Blue Sea is necessarily a case of insta-love as I’m often not a fan of those, but at the same time realise that insta-love does happen, in real life and in fiction. 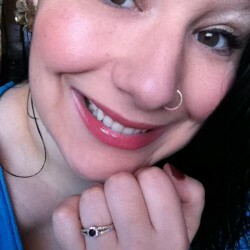 I knew that my Husband was the one within a week of dating him. It happens and when magic, and paranormal elements are involved I’m more likely to go with the flow of the story than stand there and judge it. I thought that April did a great job with the paranormal, fantasy elements of the book and that she wrote a story line that was both believable in their universe and a joy to read. Between the Devil and the Deep Blue sea was very fast paced and I really wish it were double the size, largely in part of the fact that I didn’t want it to end so quickly and because I felt that the story could have used more back story, more pages of explanations and more time to develop the plot and the twists. This is the first book in either a trilogy or a series so I’m willing to let that go and allow myself to be filled with anticipation for the next books. This story is not complicated, it’s simple, it’s dark at times and light in other times and though a few questionable things happened I still felt myself suckered into it enough to sit down for 2.3-3 hours and finish the whole book in the same sitting despite having a super serious lack of free time right now. What Story have you read where those who read it either strongly enjoy or dislike the novel? How did you feel about the story in particular?